Tonight the Milwaukee Bucks head down I-94 to visit the Windy City to take on the Chicago Bulls for the fourth and final time. The Bulls won the first two of the series, both played in Milwaukee, but the last time these longtime rivals met was here at the United Center with the Bucks leaving town on top, 110-96. In the series opener back in mid-December, Chicago commanded the glass from the start, outrebounding the Bucks 50-43 and outscoring them 24-13 in second-chance points to win, 115-109. Chicago's Kris Dunn totaled 16 points, 7 rebounds and 6 assists while Bobby Portis (27 points, 12 rebounds) and ex-Bulls forward Nikola Mirotic (22 points, 8 rebounds) combined for 49 points and 20 rebounds off-the-bench. Milwaukee's Giannis Antetokounmpo and Khris Middleton each notched game-highs of 29 points, while Antetokounmpo also snagged 16 rebounds. Chicago returned to the BMO Bradley Center a second time 11 days later and jumped to 2-0 in the series with a 115-106 triumph. Once again Mirotic came off the bench to post a team-high 24 points to go along with eight rebounds. Antetokounmpo had another outstanding game, scoring a game-high 28, but oddly ended up taking just two shots and scoring four points during the decisive fourth quarter. Then last time the Bulls and Bucks got together, Milwaukee looked to be on a mission as they stormed to 61-42 lead at the half. Although Chicago went on to outscore them (54-49) the rest of the night, the Bucks' 19-point halftime lead allowed them to coast to a win. Once again, Antetokounmpo led all scorers with 27 points while Middleton added 20. Milwaukee shot 53.2% from the field (41-of-77), while holding the Bulls to just 41.4% (36-87). However, if the Bucks are going to even the series this evening, it's looking like they'll have to do so without Antetokounmpo, as the 6'11 All-Star has been listed as doubtful by the team prior to tip-off. Antetokounmpo badly sprained his right ankle Wednesday during the second quarter against the LA Clippers, ending his evening after only 17 minutes. Middleton paced Milwaukee with 23 points while Jabari Parker came off the bench to chip in a season-high 20 in 30 minutes, the most time he's played since rejoining the team in early February after recovering from a second ACL tear in his left knee. Antetokounmpo, who had 37 in another Bucks loss at Cleveland on Monday, had 12 points against the Clipps before departing. Chicago's primary formula for success is to always come out of the blocks hard and fast and establish themselves as aggressors. Defensively, they need to keep the lines of communication open and quickly react in shutting down the paint whenever an opponent tries to attack the rim. To that end, Chicago will again need to wrestle control of the boards — at both ends of the court. The Bulls currently rank 8th in rebounding, pulling down 44.6 a game, while Milwaukee sits dead last with a mark of 39.5. It's also imperative Chicago force Milwaukee to score its points outside and not allow the Bucks to get to the basket. Milwaukee ranks 8th in the league in scoring inside the paint (46.4). Now most of that offense comes from Antetokounmpo, but even with him out of action tonight, it would still benefit the Bulls to make the Bucks hit shots from far away. Offensively the Bulls look to strike quickly with everyone carrying out an important role. In order to stay competitive most nights they have to try to exploit their speed and athleticism by establishing a fast pace. Conversely, whenever Chicago ends up having to set-up in the halfcourt, it's vital they generously share the ball by making it jump from player-to-player, and from side-to-side to generate open looks at the basket. Each time the Bulls snare a defensive rebound look for their guards and wings to immediately sprint to the other end of the court in search of an outlet pass. If Chicago is unable to post a layup, they'll need to quickly adjust by stationing shooters evenly apart along the 3-point arc to draw Milwaukee's defense outside to cover the perimeter and free up the paint near the basket. While skipping the ball, Chicago also must eye opportunities to go on the attack and never shy away from driving into the paint to compel the Bucks' defense to overreact. If the defense slides under the basket or attempts to trap or double-team, Chicago's attackers then have to then find an open sniper hovering outside for an uncontested look at the rim. 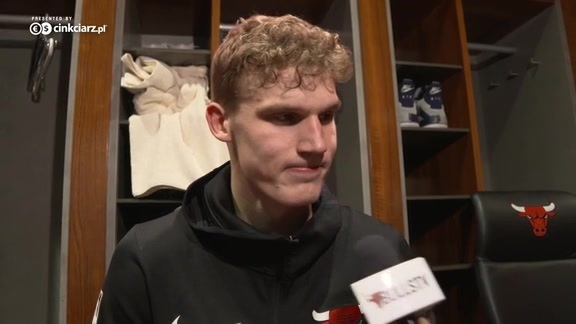 Like the Bucks, the Bulls will also be without a couple of their best players this evening as both Dunn (sprained toe) and Zach LaVine (left patellar tendinitis) have been declared out, while Lauri Markkanen is listed as questionable, at best. In short, the Bulls need to aggressively come out of the gates from the jump. It's essential they establish a fast pace and keep everyone mentally and physically engaged at both ends of the floor. They also have to sport a hardnosed attitude, and commit to outhustling and outmuscling Milwaukee in every way.